Our parlor floor ceiling is a bit of a show-off. It’s not super fancy like some of the stuff you see in Cobble Hill, or Park Slope, but it’s enough to class up the joint. There are harps and other delicate squiggles, some of which are showing signs of aging – cracks and patches and ample evidence of less than perfect repairs in the past. 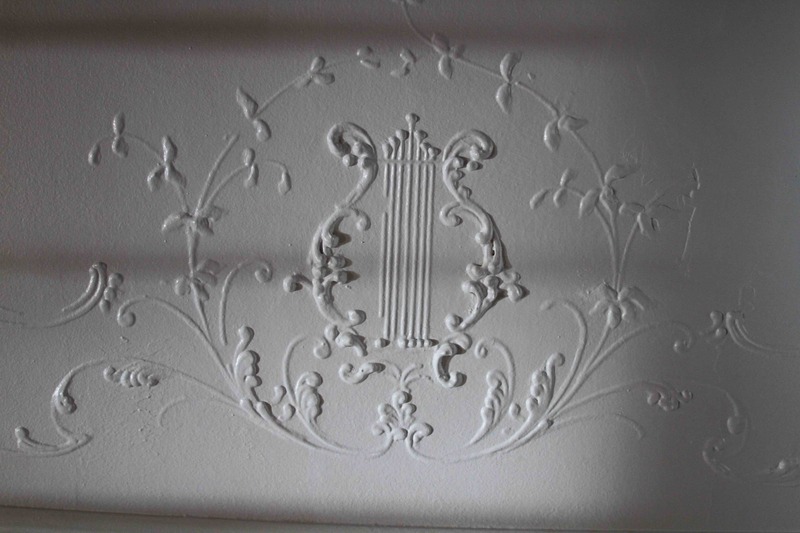 If a plain plaster wall can make me swoon, a fancy plaster has me head over heels. 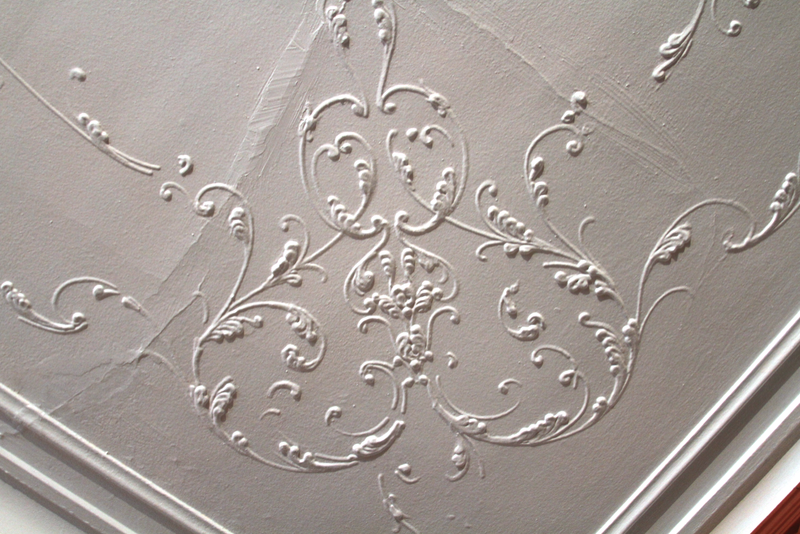 I’m insanely protective of our parlor ceilings, which I suppose it’s an odd thing to say – but it’s true. I catch myself staring at it and taking inventory of every crack and poorly patched bit of plaster. It’s overwhelming sometimes because I have no idea how we are going to fix it. I’m sure a mold needs to be made, then what? While I’m getting pretty good at skim coating, I wouldn’t dare make this a DIY project. So, as with all things that require a budget, it will have to wait. For now, I’m keeping an eye out of any new damage, and hoping there is none.